Stewart Garden 5" Flower Pot Pack of 5 high quality 12.7cm plastic terracotta colour plant pots ideal for potting on seedlings. Plant pots suitable for indoor or outdoor gardening including drainage holes to ensure plant does not become waterlogged. 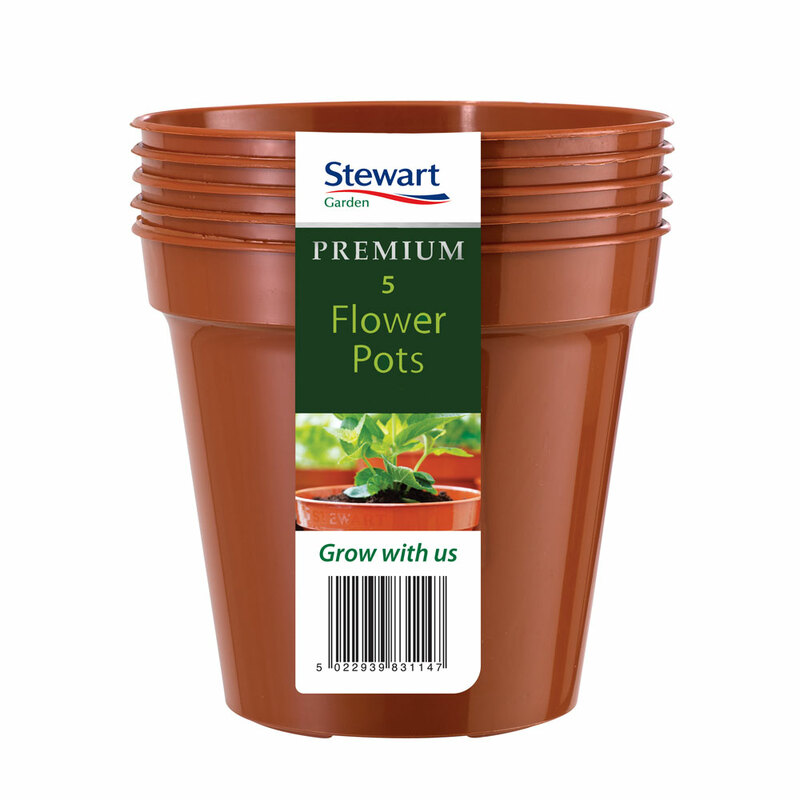 Each pot measures 12cm depth and 13cm external diameter, allowing for 8.5cm internal diameter base footprint. Premium quality frost proof and UV resistant plastic construct.